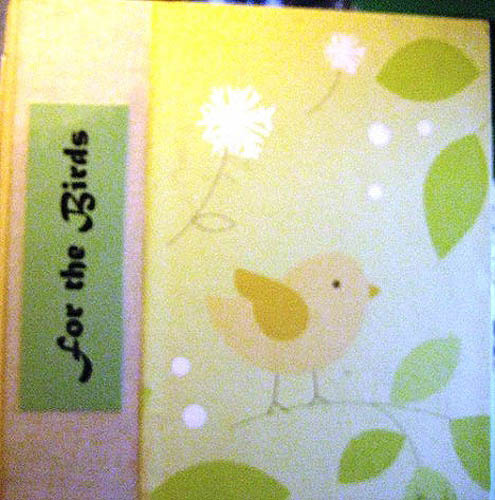 This journal was a baby memory book that I’m repurposing into a bird journal. Please add your thoughts, pictures and drawings about anything and everything that pertains to birds. You can add to what is on the page or cover all or part of the page with paper. Take as many pages as you want but don’t alter anyone elses work. PLEASE RELIST ONLY ON BOOKMOOCH by entering the BMID number listed in the front of the journal to the Add tab ISBN block (this is case sensitive so use capital letters) and notify me when the journal is full or needs repair.